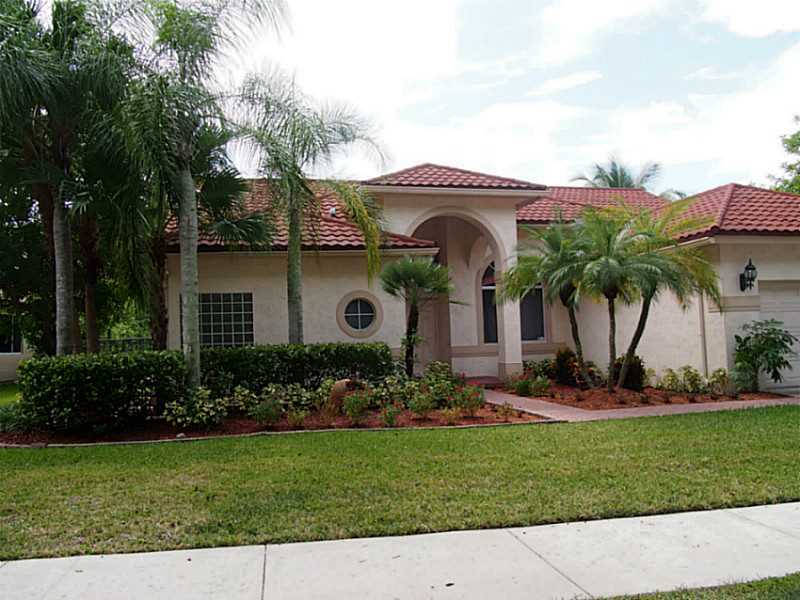 Broward Real Estate: Great Home In Weston For Sale! This gem in Orchid Island is on the market in beautiful Weston, Florida! This is a boutique development. This three bedroom, two full bathroom, and one half bathroom home is laid out on over two thousand six hundred square feet of perfectly appointed living space. The kitchen was remodeled from the studs up just last year with polished granite counter tops, a full suite of stainless steel appliances, and custom wooden cabinetry. The master bathroom boasts quartz vanity.The floors throughout the main living areas are porcelain tile. The gorgeous custom heated salt swimming pool features a beach entry, fiber optic lighting and river rock flooring. The patio is over sized perfect for entertaining. The home has soaring ceilings in the main living areas and in the master bedroom which makes it light and bright. All the landscape is new.The air conditioner was replaced in a few years ago. Residents of Weston have fine dining, shopping and entertainment in close proximity at nearby Sawgrass Mills Mall and Weston Town Center. The Fort Lauderdale International Airport is just a short drive. The exquisite beaches of South Florida can be reached with in minutes.